This is Part 2 of the Trilogy of publications The Prophecy of The Pyramid and The Cube. If you have arrived to this Homepage, I suggest you read Part 1 by clicking here. In the “Telektonon Prophecy”, Valum Votan describes the Earth Speaking Tube, which connects the tomb of Pacal to the World. The Tube was real and was discovered by Mexican archaeologist Alberto Ruz when he discovered the tomb in 1952. In order to keep Pacal connected to the world, a tube, or psychoduct was designed into the pyramid, its snakes from the tomb to the upper chamber, the apex of the pyramid. On the sarcophagus lid of Pacals Tomb is a vision that depicts Pacal falling from the World towards the mouth of Xibalba, the Serpent awaiting his fall. When you study the dimensions of the Tomb is becomes apparent that the Tomb was built first, preceding the construction of the pyramid. On the walls of the tomb are 9 modelled fugures which are thought to represent the 9 Lords of the Underworld, or 9 Lords of Time. As we established in Part 1 of this series, the 19:19 Pyramid is the blueprint of Pacal Votans Temple of Inscriptions. As such we can design the system to include the Tomb and the Secret Passageway (The Tube) that connects . To demonstrate this from our current 3D model we simply need to remove the central column of 10 cubes as shown below. 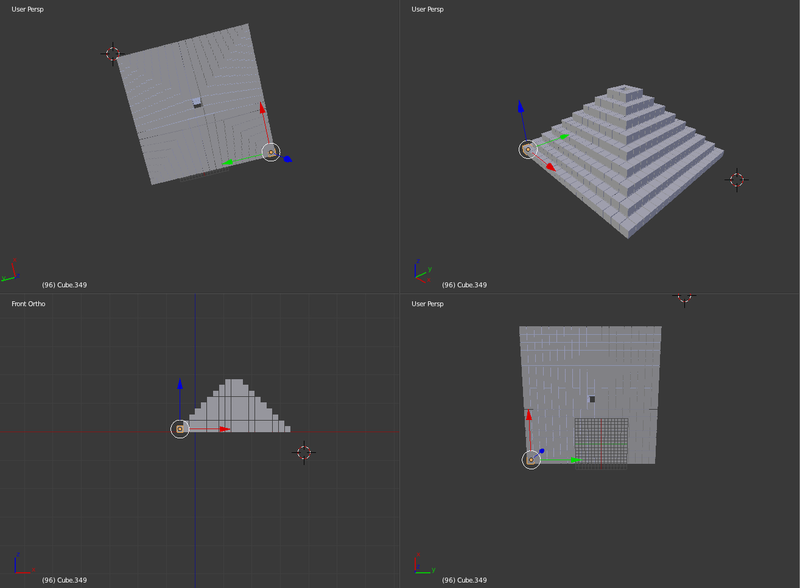 Upon removing the 10 cubes from the 19:19 Pyramid and uncovering the Tomb, we are left with a total of 1320 cubes in the Pyramid. This indicates that The Pyramid should be constructed around the Tube, as was the Temple of Inscriptions around the Tomb of Pacal. By doing this, the construction of the Pyramid as modelled above, is like the Serpent manifesting into our World, creating a vortex column for the entry into Earth. This is further demonstrated at the Temple of Kukulkan in Chichen Itza, with the Serpent entering down the stairs of the Temple, synchronised to Day 241. 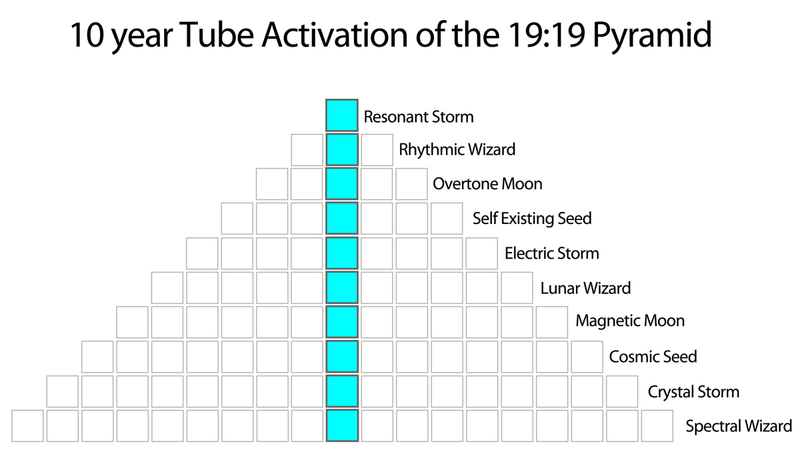 The 10 cubes of the Tube are therefore the final 10 years of the Prophecy, each year/cube activates its corresponding level of the Pyramid. This forces the activation of the Votanic Vortex, which initiates the entry of the Dragon / Serpent. 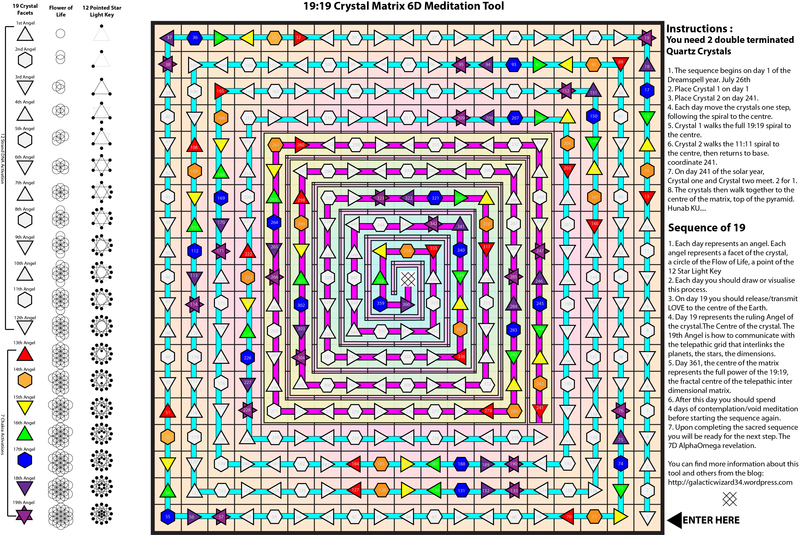 I received the first pulse of the 19:19 Matrix in the first days of the Spectral Wizard Year 2003-2004. This was the first Cube in the Tube. The proceeding 10 Years were effectively the countdown to Galactic Synchronisation. 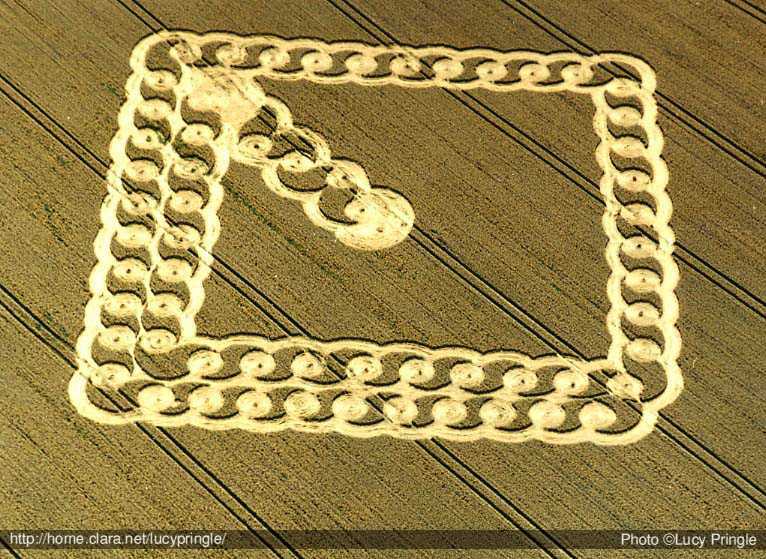 On Overtone Dragon, August 2nd 2003, Spectral Wizard Year I was visiting the crop circles of Wiltshire and camping up around Milk Hill with Agent Solar Star. In the field below our camping spot, there was a crop “square”. From the hill above I saw it as an initiation walk, like the Celtic labyrinth and somewhat similar to the Telektonon. We descended to the valley, to do the walk. The Crop “Square” consisted of looped circles spiralling along the right angles of the square towards the centre (see diagram). However, the Crop Circle only showed the outer layers. The outer layer marked its volume as a matrix of 11 x 11. The initiation walk was equivalent to 59 Steps in the matrix (60 quadrants). Kin 59 is Resonant Storm, the kin which activate Votans Stone in the final cube of this Prophecy. Upon completing the walk and resting in the centre, I had the vision to superimpose the 11:11 matrix onto the 19:19. That evening I done my first tests and the result proved positive by the 19:19 days of the cycle perfectly accommodating the 11:11 sacred walk a perfect 3 times. Going in to the centre, then out, and then back in. This was the vision released from the first cube of the trunk. Each year/cube represents a level of the pyramid, each level illuminating towards completion. 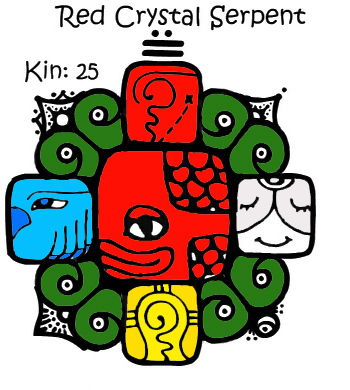 If you add the kins together it combines to 1325 = kin 25 = Red Crystal Serpent. Guided by the Red Crystal Earth.